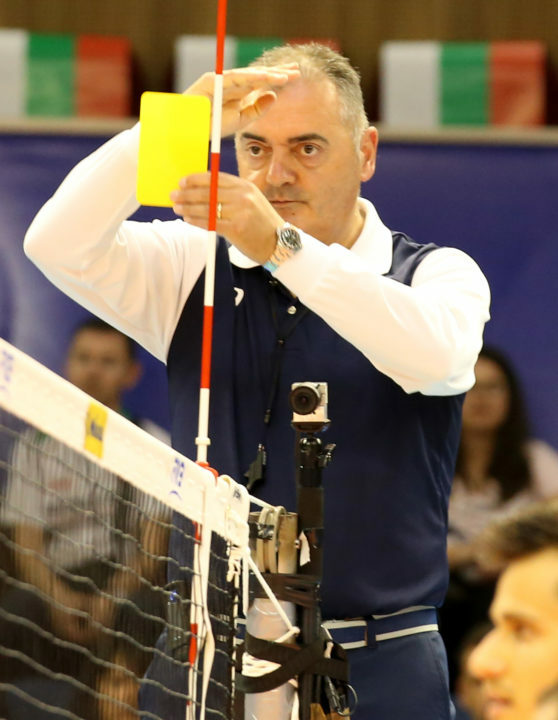 Borrowing an idea from their compatriots in the lower levels of Italian soccer, the Italian men’s volleyball league will institute a system of “green cards” for fair play in the 2018-2019 season. Previously used extensively in youth and lower (Serie B) levels of the Italian soccer system, the card will be awarded by referees when they see athletes make a fair play. Its color and use is in opposition to yellow and red cards, used in both soccer and volleyball among other sports, to indicate a violation of rules of decorum or safety within a game. Examples given for situations where green cards are given would be if a player were to admit to touching a ball on the block without requiring the referee to go to the replay monitor. According to Lega Pallavolo CEO Massimo Righi, there are two purposes to the new green card: to bring more fairness and sportsmanship to the game; and to speed up games. The cards within a game will not have any direct benefit, but the league will use them as a way to market and promote teams that exhibit fair play. At the end of the season, the league will add up the green cards for each team in the league, and the team that accrued the most will be given a sum of money to donate to charity.